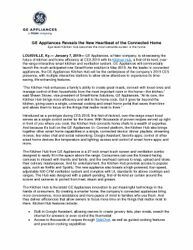 LOUISVILLE, Ky.—January 7, 2019—GE Appliances, a Haier company, is showcasing the future of kitchen and home efficiency at CES 2019 with its Kitchen Hub, a first-of-its-kind, over-the-range interactive smart kitchen and ventilation system. 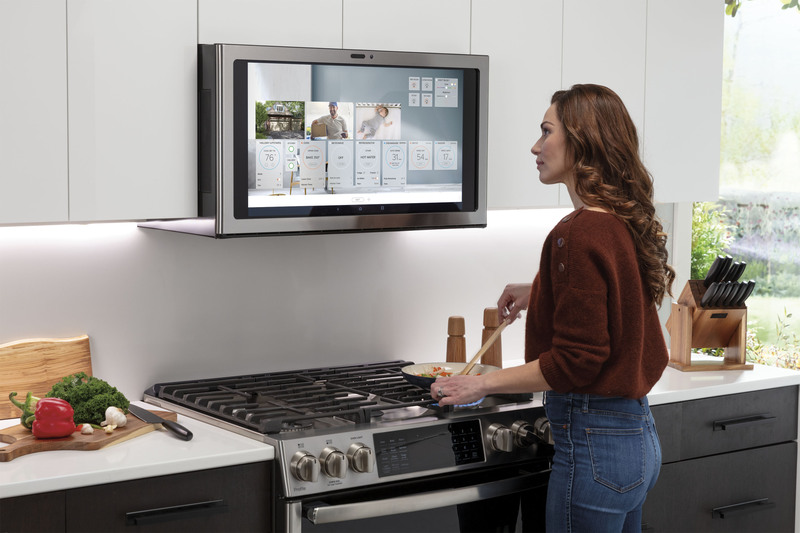 GE Appliances will commercially launch the much-anticipated new SmartHome solution in May 2019. 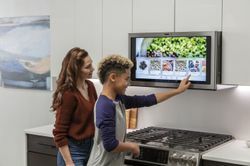 As the leader in connected appliances, the GE Appliances Kitchen Hub will be the centerpiece of the company’s 2019 CES presence, with multiple interactive stations to allow show attendees to experience its time-saving, life-enhancing features. 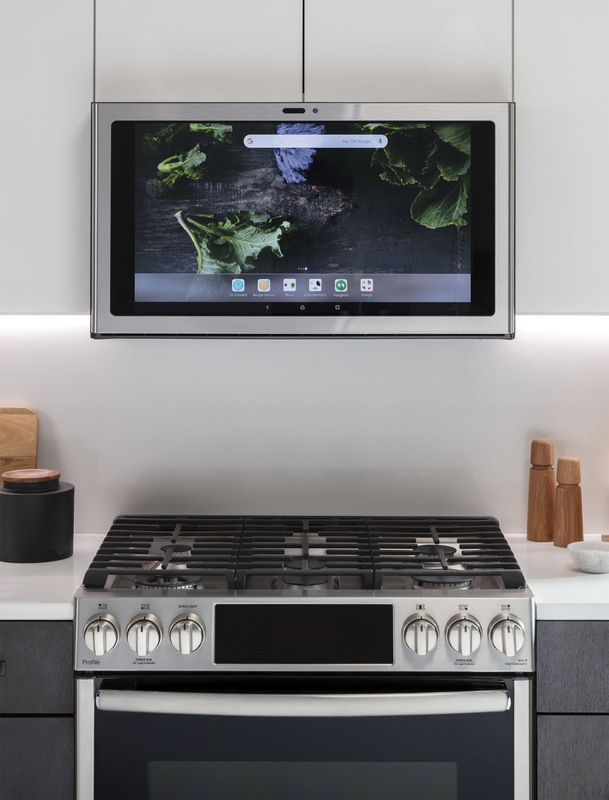 Introduced as a prototype during CES 2018, this first-of-its-kind, over-the-range smart hood serves as a single control center for the home. 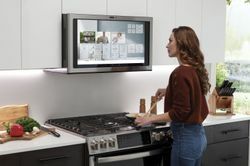 With thousands of proven recipes served up right in front of you where you cook, the Kitchen Hub connects home chefs to a wealth of expertise. 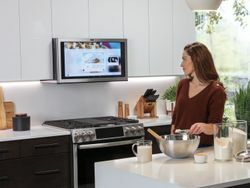 And because it’s built on the GE Appliances U+ Connect platform, the Kitchen Hub also brings together other smart home capabilities in a single, connected device: dinner playlists; streaming movies; live video chat and social networking; Google Assistant; favorite apps; control of other smart home devices like temperature and lighting; access and control of smart home apps; and more. The Kitchen Hub from GE Appliances is a 27-inch smart touch screen and ventilation combo designed to easily fit in the space above the range. 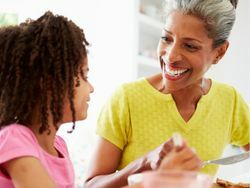 Consumers can use the forward-facing cameras to interact with friends and family, and the overhead camera to snap, upload and share their culinary masterpieces. And for entertainment, the Kitchen Hub provides access to popular apps, such as Netflix and Spotify. 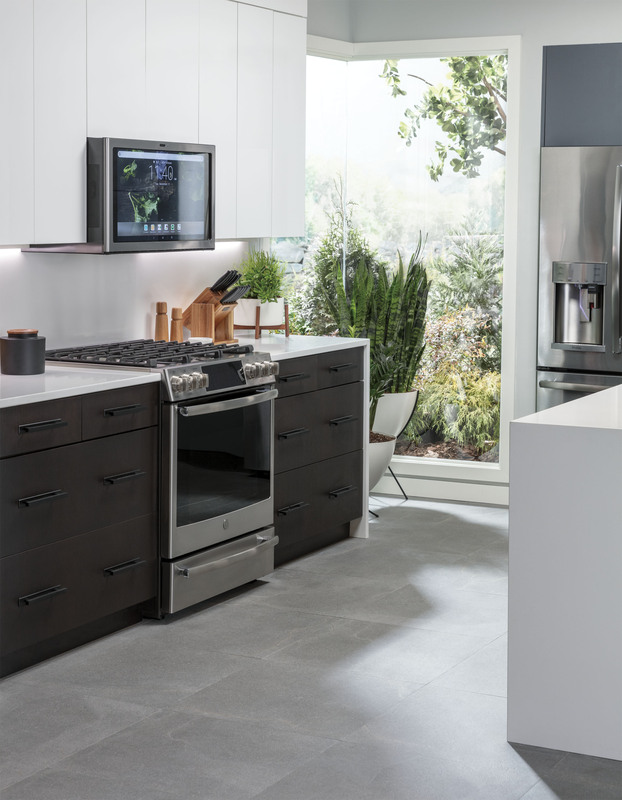 The new appliance also boasts a high-powered, four-speed, adjustable 600 CFM ventilation system and complies with UL standards for above cooktops and ranges. The Hub was designed with a patent-pending, first-of-its-kind air curtain around the screen and cameras to protect from heat, steam and grease. 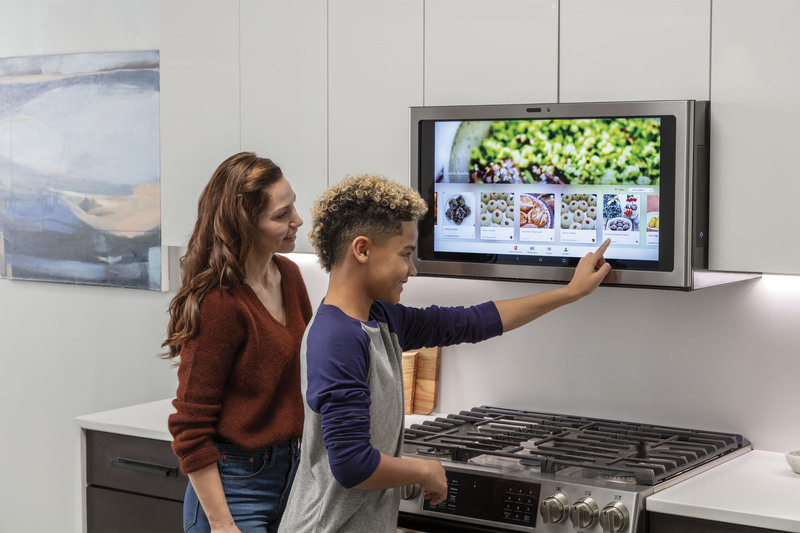 GE Appliances’ Kitchen Hub is enabled by the U+ Connect platform, a proven operating system that is global, open and secure, with virtually endless interoperability possibilities. The open platform enables simple connectivity with other smart home products—even outside of the kitchen—and provides a future-proof solution that is easily updated as technology evolves. The dynamic platform allows the ongoing addition of tools and resources, ensuring users can take advantage of new features and functionalities to maximize the value of their connected appliances. 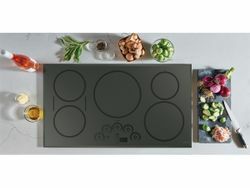 The price range for the Kitchen Hub is $1,199 to $1,399 MSRP. Visit the Haier and GE Appliances booth (LVCC, Central Hall - 11128) at CES 2019 to experience the Kitchen Hub and other smart products that bring more convenience, more assistance and more peace of mind to owners. GE Appliances, a Haier company, creates “good things, for life” through our passion for great appliances and the happiness they can bring to every household. 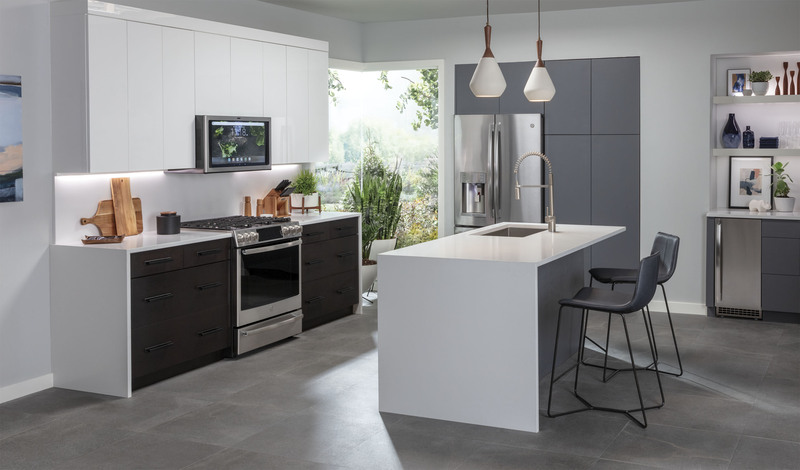 With the Hotpoint, GE®, Haier, Café™, GE Profile™ and Monogram®brands, owners have more choices for making their kitchens and homes amazing each day. Our products include refrigerators, freezers, cooking products, dishwashers, washers, dryers, air conditioners and water filtration systems. For more information, visit www.geappliances.com/our-company/.